One blog conference that I have kept my eye on over the past few years is Go Blog Social (GBS). Co-founded by Kathryn Snellen and Sarah Ruhlman, Go Blog Social is designed to inspire, connect and educate like-minded bloggers and creative professionals. I remember attending the very first Go Blog Social conference at Hotel Phillips Kansas City, where dozens of my fellow bloggers and I were scrunched together in a tiny conference room trying not to hit each other while we either wrote or typed out our notes. Three years later, Go Blog Social has launched their most epic endeavor yet: a conference tour that includes stops in St. Louis, Des Moines and Chicago. 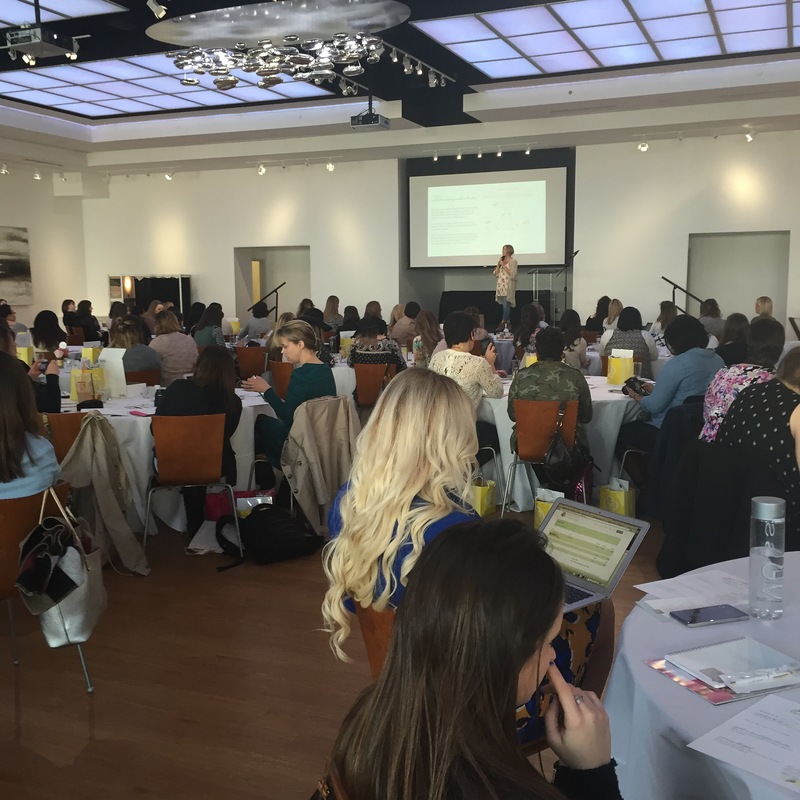 The 2016 Go Blog Social conference tour kicked off at the Gallery Event Space in downtown Kansas City. Each attendee received a great swag bag when they checked in and were invited to enjoy a complimentary breakfast. While some participants headed to the buffet, others made pit stops at several sponsor booths where they learned how to make flower crowns from the Bloom Academy, created several Instagram-worthy photos from Fete Box and discovered local apparel from both localE and Ocean & Sea. After a brief introduction to the event and the rest of the GBS team, Katelyn Herelein (Director of Sponsorship) and Ashley Mahoney (Creative Director), the team turned the conference over to Lenexa, Kansas-based photographer Allison Corrin, who lead the conference in a photography workshop. Some of the lessons that the bloggers learned throughout the segment included “Examine the Light,” “Savor the Light” and the Exposure Triangle, which focused on the isos, apertures and shutter speeds on DLSR cameras and iPhones. 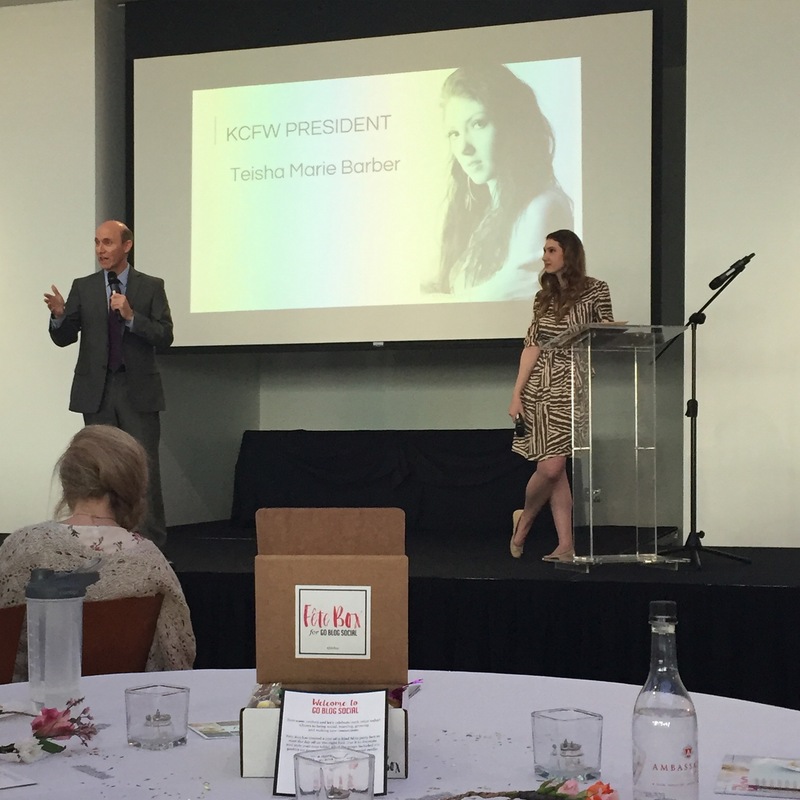 Kansas City Fashion Week (KCFW) CEO Phillip Willoughby and President Teisha Barber divided their presentation into two parts: the fashion (Teisha) and the week (Phillip). While I have covered Kansas City Fashion Week for the past three years, I was in awe of the statistics that Teisha provided the audience regarding the show’s evolution from their humble beginnings at a local nightclub (that showcased three designers and six models) to their move to their present home at Union Station, where 23 designers will showcase their Fall/Winter 2016 collections. However, as bloggers fawned over Teisha’s KCFW statistics and business strategies, Phillip gave them a huge reality check for the next part of the KCFW segment. He reminded the audience the harsh reality of their dreams crashing down regarding legal matters. Luckily, Phillip prepared a guide for the attendees to use, so that they do not have to deal with the harsh environment of courtrooms. Before the conference broke for lunch, twins Emily and Elizabeth also known to the Kansas City blogging community as the Fashion Column Twins talked about how they transformed their blog into a business. The girls have made appearances on local media stations such as 41 Action News, WDAF-TV FOX 4 News and KCTV 5 News as they shared their insight on fashion and promoted their brand: localE. Some highlights of their session included how bloggers should build their brand, make their brands visible and the valuable lessons of networking and how it could lead to countless opportunities. After the twins had left the stage, Go Blog Social attendees were treated to a catered lunch provided by the Gallery Event Space. 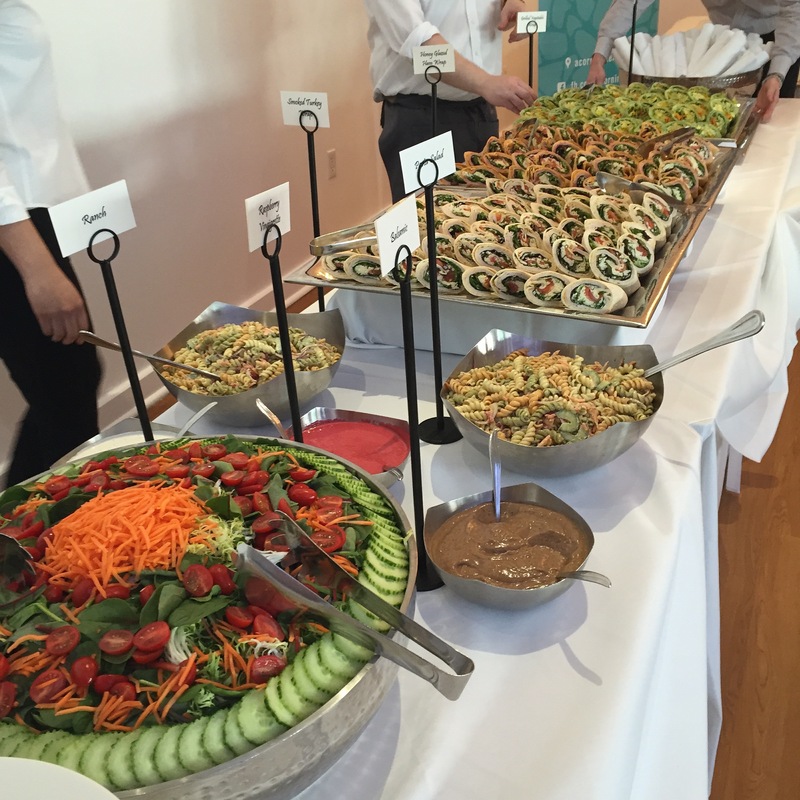 While guests dined on various wraps, tomato bisque, salad and different little desserts, the bloggers continued to work on DIY projects at the sponsored brand tables and met with Acorn Influence representatives, a marketing agency that specializes in influencer marketing. As the bloggers got back to their tables, Kelly Rivard presented crucial information regarding the state of Search Engine Optimization (SEO). The Hallmark Search Specialist introduced the audience to new terms such as “contextual search” and “linkability.” Also, Kelly advised the GBS audience to “always write for users,” remember fundamentals and to think of their blogs and websites as online trees. She also introduced several platforms that could help bloggers learn more about data analytics. Before the GBS’s headline speaker spoke to the crowd, Acorn Influence introduced themselves and their brand to the assembled bloggers. During their presentation, Acorn Influence described their Acorn score (a tool that measures blogs’ creditability and their potential partnerships with their represented brands), what does success look like in the blogging community and predicted what factors would shake up the blogging world this year. 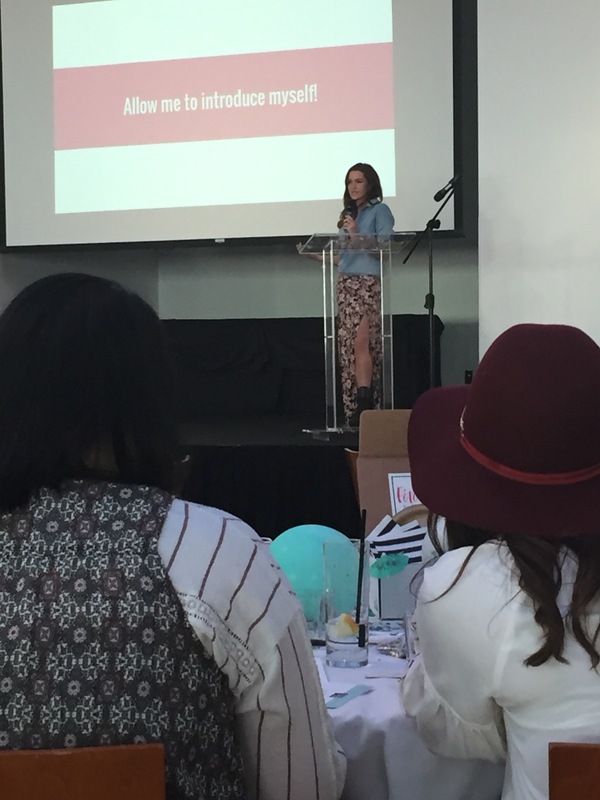 The final speaker of the Kansas City event was KC newcomer and Bachelor/Bachelor in Paradise alum Jade (nee Roper) Tolbert. She spoke about the necessary steps that bloggers needed to take to become active social influencers. Between identifying and developing their respective brands’ visual characteristics to increasing their presence on Instagram through storytelling, Jade left no stone unturned. After her presentation, she shared some juicy tidbits about her time on the hit ABC Reality TV series that delighted the audience! Missed the Kansas City Go Blog Social stop? The 2016 GBS Midwest Tour will be in St. Louis on May 14 at the Lumen Event Space. To learn more about Go Blog Social, visit their website! You can also connect with Go Blog Social on social media. Visit their Facebook, Instagram, Twitter & YouTube channels.